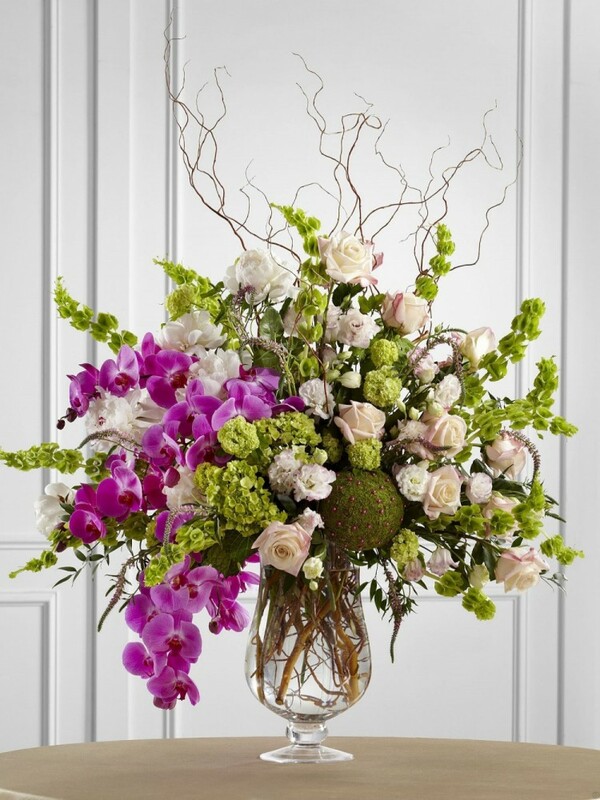 This fabulous vase arrangement is a presentation of cultivated taste and unmatched elegance. Pale pink roses, variegated pink double lisianthus, pink veronica, pale pink peonies, purple phalaenopsis orchids, mollucella, green hydrangea, viburnum stems and curly willow branches are carefully arranged in a 16-inch footed glass vase to create an amazing display of grace and beauty. Approx. 48"H x 36"W.